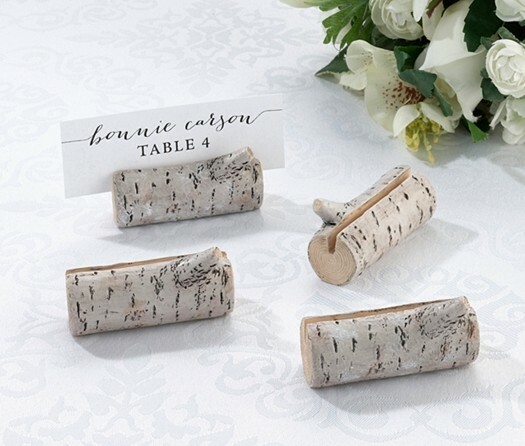 These birch-tree-branch-look place card holders are perfect for the tabletops of a woodland-themed wedding. Crafted of white-washed resin. PLEASE NOTE: Pictured place card is not included. Sold as a set of four (4) and prices quoted below are per set.